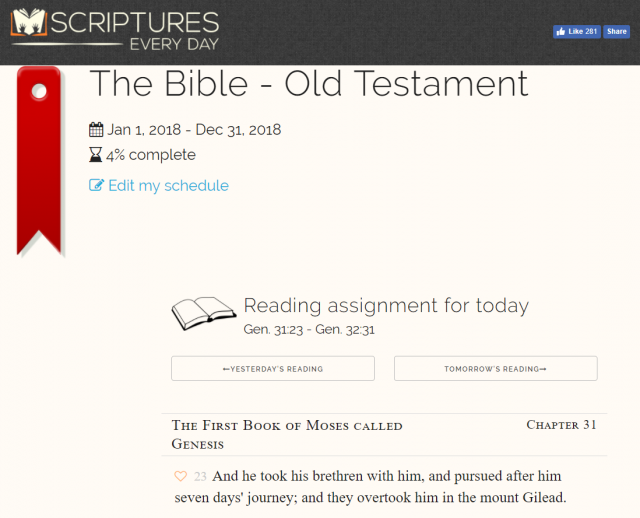 ScripturesEveryDay.com is a site that helps you read the scriptures every day. For 2018, it’s set by default to help you read the Old Testament during the year—or you can set your own schedule for any book of scripture. Set this as your default home page on your computer and it will remind you to read your scriptures first thing each day! I am grateful for this service. I just began reading the Old Testament. This will help to keep on pace.